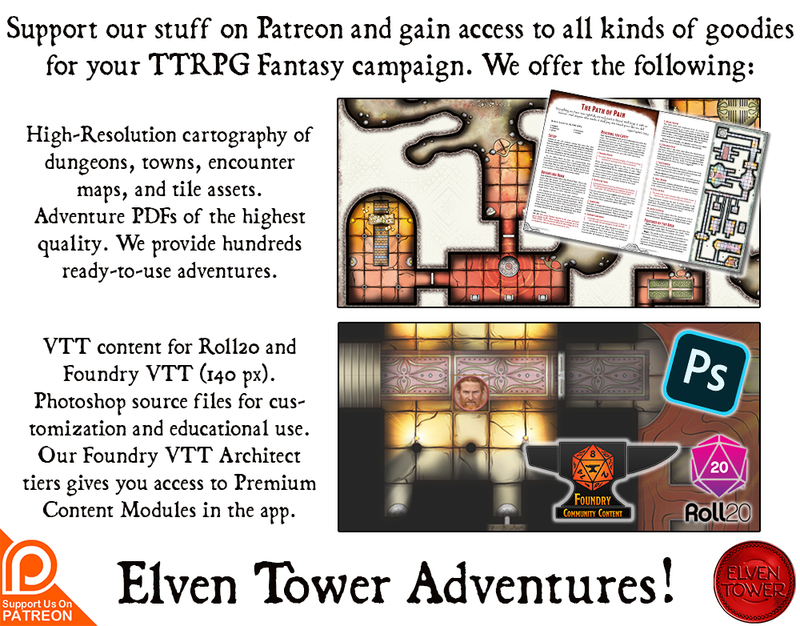 Starting on June-2017 It is my goal to make all resources I create Roll20 (or any VTT) compatible. I’m talking about correct resolutions compatible with Roll20 grids. 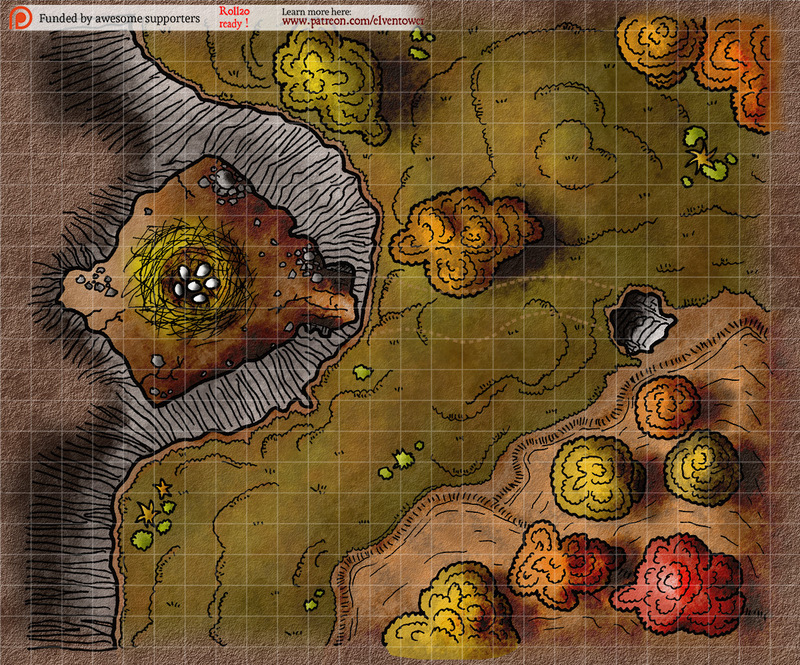 Also maps or packs that come with tokens or icons assets that let the GM modify or adjust the material to their own games. Prospect Denizens of the Tower. This is a very specific encounter map. It’s a cliff next to a forest. 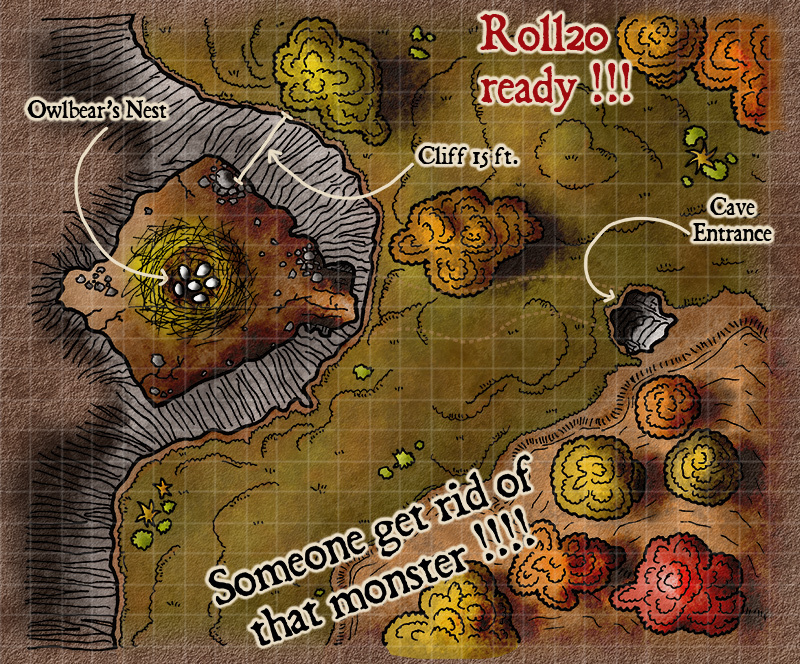 This is the home of an owlbear(s) (or any kind of flying beast, it could easily be giant eagles, chimeras, wyrm or something). It comes in a different color scheme, more autumn-ish. Adventurers can get to the nest through the cave or by jumping from the cliff.